As the country’s economy grow, creating a wealthier middle class, property hunters have become more and more conscious about their wellbeing when looking for new residential properties, such as apartment for rent or condominiums for sale. Because of this, modern homebuyers are on the lookout for the latest security technologies that can help to guaranty the safety of both their loved ones and their homes. If you’re also one of these property hunters, then check out below for some of the latest home security trends for 2019 that should help you to secure your home. If there’s one home security trend that everyone should look out for in 2019, then that should be the wide-scale adoption of artificial intelligence and machine learning technologies in the home security sector. Thanks to rapid advancements in this field, home safety systems will be able to autonomously monitor any unusual activities in and around the property and will have the capability to take necessary precautions depending on the situation. 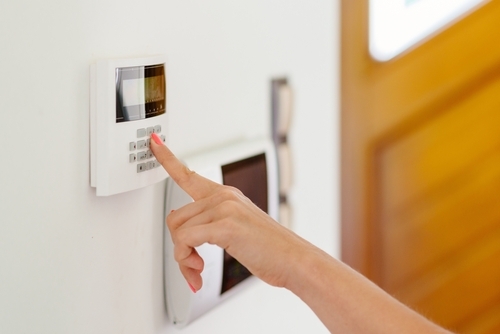 Home security sensors in the past were mostly geared toward handling either one or two tasks. However, this is expected to change in the near future with the arrival of multipurpose sensors that are capable of doing a few dozen things simultaneously without being overloaded. Typically, this would include things such as motion sensing, air quality detection, identifying environmental conditions, ambient light sensing, sound monitoring and more. As of now, video surveillance is one of the most widely used techniques to safeguard the security of both residential and commercial properties here in Sri Lanka. The police often use security footage to identify suspects, which has proven to be quite an effective method in solving crimes. Smart video surveillance takes things a step further by implementing advanced detection technologies such as facial recognition, package detection and people counting, but using much less processing power than ever before. Gathering surveillance videos is only one part of the surveillance process to ensure the security of a home. However, in order to make the surveillance footage usable, the reviewing of the content should also become an easy task. While companies such as Google already offer technologies and APIs for searching video content and can even identify whether a figure is a person or an animal, technology in the near future will give homeowners the ability to search surveillance footage in an on-demand basis, highlighting only the relevant content that the user has specified. A lot of government organisations and departments are known to use biometric identification systems to ensure their security. The technology fundamentally refers to an automated system that has the capability to identify an individual by using specific markers and patterns. This could include a person’s fingerprints, the signature, palm prints, the face or the retina. The system then compares these patterns to the ones on its database for a more accurate identification. In 2019, this technology will enter the home security market, adding an extra layer of security to your home. Internet of things, known more commonly as IoT is a wide range of technologies that combined, strive to connect the entire world into one giant network with the use of the high-speed internet. However, the adoption of these technologies has been slow, largely due to the limitations we have on connecting devices wirelessly across large distances. Nevertheless, this is expected to change in 2019 with the introduction of the 5G technology, with should revolutionise the home security market. For most parents, the safety and protection of their children is undoubtedly a top priority. However, with modern day busy lives, parents have a hard time keeping an eye on their children at all times. This is where the new intelligent home security system specifically catered towards safeguarding children comes to your help. It will allow features such as security validation of caretakers, ensuring the safety of your child.